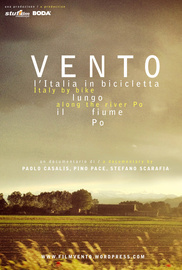 The project of a bike path from Turin to Venice, five cyclists, 700 kms, a wonderful bike trip in northern Italy. A new perspective on a piece of Italy, a road movie on two wheels. SPORT FILMS: THE RUNNER+THE LAST KILOMETER+NOT JUST FOOTBALL & MORE! Love sport films? Buy award winning running movie "THE RUNNER" plus NOT JUST FOOTBALL & bike documentaries THE LAST KILOMETER,VENTO,El DIABLO & MORE! ALL MOVIES BY DIRECTOR PAOLO CASALIS - Includes "Not Just Football"